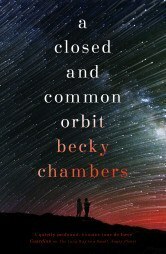 Becky Chambers was raised in California as the progeny of an astrobiology educator, an aerospace engineer, and an Apollo-era rocket scientist. 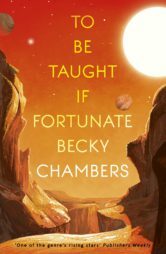 An inevitable space enthusiast, she made the obvious choice of studying performing arts. After a few years in theater administration, she shifted her focus toward writing. She worked as a freelancer between 2010 and 2014, during which time her work appeared at The Mary Sue, Tor.com, Five Out Of Ten, and The Toast. 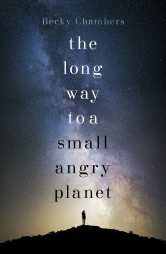 Her writing time for The Long Way to a Small, Angry Planet was funded in 2012 thanks to a successful Kickstarter campaign. 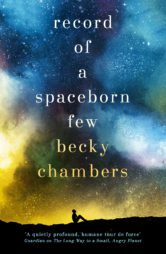 She is now employed as a technical writer, which grants her the ability to devote more time to science fiction. After living in Scotland and Iceland, Becky is now back in her home state, where she lives with her partner. 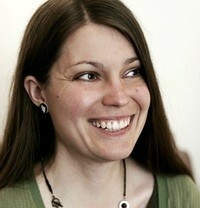 She is an ardent proponent of video and tabletop games, and enjoys spending time in nature. She hopes to see Earth from orbit one day.